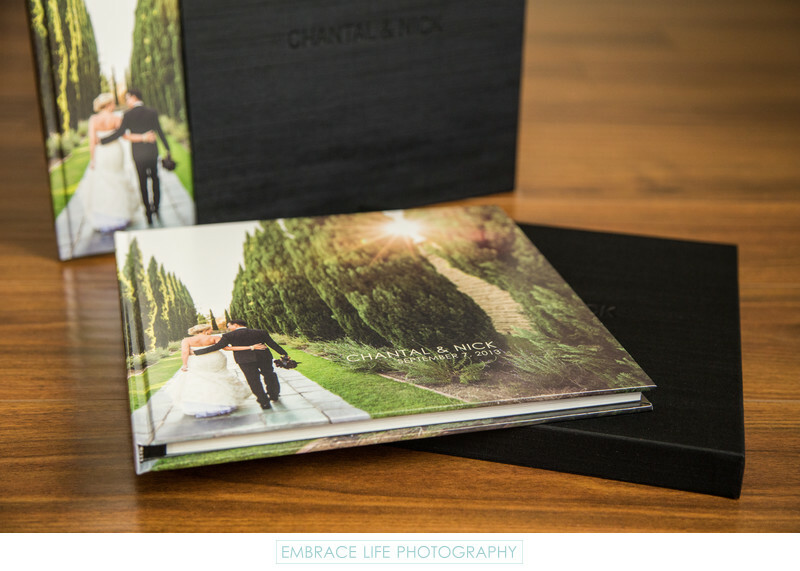 Embrace Life Photography is able to accommodate just about any special request when it comes to wedding photography albums. This bride and groom from Bermuda, who decided to have their destination wedding Beverly Hills, shared with us their preference for a Coffee Table Book styled wedding album with a photo cover. We knew just what to do with their Greystone Mansion wedding photography albums: Both albums included a wrap-around photo cover of the iconic gardens and were housed in custom, black, silk slipcases blind debossed with the couples names. The slipcases add a touch of formality to the otherwise more casual wedding books, and also protect them. Location: 905 Loma Vista Drive, Beverly Hills, CA 90210. Keywords: Luxury Coffee Table Book (15).